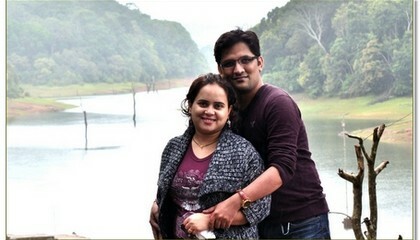 Me and my husband recently had the pleasure of visiting and having a wonderful time in kerala thanks to Iris Holidays. We were in contact with Ms Jain for the customization of the tour. Must appreciate her patience and very prompt replies. I had thousands of questions as I wanted to avoid any kind of unpleasant surprises and she answered each and every query of mine with utmost courtesy. We exchanged innumerable mails and on all occasions they were prompt. All the details of bookings were with the Driver itself so no hassles there. We had booked the 4N/5D package and we started from Cochin went to Munnar the first day then to Thekkady then to backwaters of allapuzha and while returning we also visited tourist attractions in Cochin. We had a very good driver in Mr. Subash who was our guide as well as a driver. He would inform us beforehand as to what are the places which are a must visit and how much time these places would take and we could plan accordingly. The final day we also did some sight seeing in cochin where we could also squeeze in some time on the beach. The hotels booked were Blue Haze in Munnar and Wild Corridor in Thekkady. The hotels were decent and provided a comfortable stay. We had taken up a houseboat in the backwaters and it was amazing. It was booked with Bethel Tours by Ms Jain and it was a one bedroom exclusive houseboat for the two of us. Yes!! exclusively for the two of us. The famous backwaters of Kerala were breathtaking and the beauty just enamors you. The meals provided on the houseboat gave a taste of Kerala cuisine and it was both in abundance and sumptuous. The Iris Holidays is doing a great job in showing what great customer services is all about. Most importantly there were no unpleasant surprises and only sweet memories that we took from this trip.